Juvéderm® ULTRA comes in different formulations for more natural-looking, customizable results. Juvéderm® HYDRATE Juvéderm® HYDRATE offers deep hydration to give you smoother, firmer skin in areas that are often susceptible to sun damage and the signs of aging— the face, neck, décolletage, and hands. ® is an injectible hyaluronic acid volumiser that recontours the face to restore volume to chin, cheeks, and cheekbones that have become hollow or thin due to weight loss or age-related facial fat loss. Immediately after the Juvederm Voluma treatment, you will notice that your facial contours appear fuller and rounder giving your face a softer, more youthful appearance. 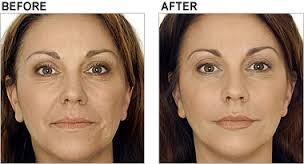 Results from Juvederm VOLUMA have been shown to last up to 18 months! According to facial aesthetic experts ‘an attractive face is characterised by smooth, round contours, high cheekbones, hollow jowls and a thin, well-defined jaw line. These features together comprise the “triangle of beauty” or “heart of face”, with its base at the top and summit below. As we age, facial fat loss, gravity, and loss of the skin’s natural elasticity conspire to reverse this triangle’s composition, leading to a narrower, less youthful forehead and temple area, and a wider, heavier jaw line. Here at Fitzwilliam Clinic we can restore the face’s balance and heart-shaped proportions, revolumising facial hollows and lost volume and recontouring the cheeks, cheekbones, and nose for a fuller, softer, more youthful appearance. Juvéderm® ULTRA SMILE lip enhancement treatment is a gentle filler dedicated to giving you fuller, more defined, natural-looking lips – immediately. Juvéderm® ULTRA SMILE is a new addition to the Juvéderm® ULTRA range of dermal fillers that’s dedicated to providing full, soft, natural looking lips and to smooth fine lines and enhance the mouth area. Juvéderm® ULTRA SMILE is gentle, with an added anaesthetic for the most comfortable treatment experience possible. So, you’ll have a beautiful new smile in less time than it takes to get a manicure…and the added comfort of using the first lip filler to include an anaesthetic. Juvéderm® ULTRA SMILE has a unique formulation that’s designed for immediately noticeable results that last. It’s no secret that the lips are an important part of facial beauty…whether with a friendly smile, a kiss, or quick change of expression, your lips are always drawing attention to themselves! What’s considered beautiful may vary from culture to culture, but there are some commonalities. Studies show that wider, fuller lips and well-defined borders are widely considered to be attractive. In fact, full lips have become increasingly identified with both youth and beauty. Juvéderm® ULTRA SMILE works in several ways to give you the natural, beautiful, long-lasting results you want—immediately. Juvéderm® ULTRA SMILE treatment to the border of your lips provides a crisp, well-defined shape and improves lip contour and definition. Addressing your lips’ texture and smoothness with Juvéderm® ULTRA SMILE results in soft, natural smooth lips. Filling the fine lines and wrinkles caused by smoking and pursing your lips, and enhancing the area immediately above the lips with Juvéderm® ULTRA SMILE creates a smoother, fresher overall appearance. Unlike other fillers, Juvéderm® ULTRA SMILE is specially designed with your lips in mind, and it includes a local anaesthetic for added comfort and the best possible treatment experience.